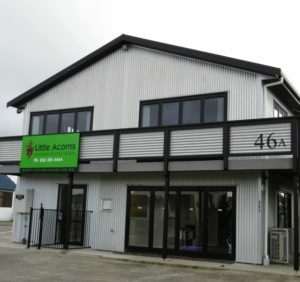 At Little Acorns, we are continually consulting with children, their whanau, and the wider community to provide children with positive educational experiences and opportunities in alignment with the Early Childhood Curriculum; Te Whāriki. Little Acorns philosophy is based on the core principles of relationships, communication, and responsibilities. Positive and meaningful relationships are at the heart of our philosophy. We encourage strong partnerships with parents and whānau. Our teachers scaffold learning experiences and free play time so that it reflects the needs and interests of the children allowing them to develop and enhance their knowledge, skills and attitudes. At Little Acorns we believe a safe and positive environment nurtures children in their confidence to learn, explore and grow. A secure attachment is fundamental to this. Each child has a Primary Caregiver (Under 2) or Key Teacher (Over 2) who is responsible for the child’s care routines, observations, communication with parents/whanau, and planning for and setting appropriate learning goals. This does not mean the primary caregiver/key teacher and the child maintain an exclusive relationship. All staff, children and parents will develop strong and positive relationships as a Little Acorns whānau. Open and honest communication provides the foundation in which staff, parents/whānau, and their children can be successful partners in providing quality learning experiences. Staff members will plan, discuss, communicate, and reflect with families, the children, and each other so that all members of the Little Acorns whānau are aware of the expectations and can feel understood, listened to, and respected. We believe in providing an environment that enables the children to take increasing responsibility for their own learning and care. Our teachers encourage children’s self-worth, identity, confidence and enjoyment. Little Acorns nurture children’s individual needs and interests and their ability to make their own decisions and judgments by inviting and encouraging rather than requiring and telling. At Little Acorns, we value the role and responsibilities of the teacher. Each teacher is responsible for providing diverse and meaningful learning experiences, a safe and welcoming environment and planning for, and reflecting on their teaching and learning. We value New Zealand/Aotearoa as a bi-cultural society. We identify Māori as Tangata Whenua and are committed to upholding the principles of the Treaty of Waitangi and the use of Te Reo as a living language. Little Acorns is an inclusive environment for all.